On may 15th., 2006, we have begun a new stage in this Dojo. 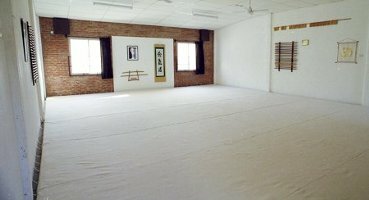 Due to an increase of practitioners we have enlarged the tatami area as well as the men's dressing room and other facilities to comfortably accomodate all members. We have also custom built a barbecue grill in the back of the building for social events and celebrations. Thanks to all those that today share with me this beautiful reality. As allways, will be welcome.